A tiny printer designed for speedy document printing that fast on-off, the M12w does only that, and does it well. 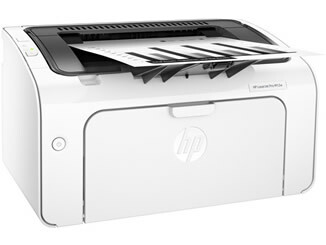 The HP Laserjet Pro M12w is aimed at small offices that need documents to hand fast. Commonly used in garages or schools where an invoice or class sheet is needed in a few seconds, this printer is ideal for repeated printing of small documents. And that's it! And truthfully, that's all you need. This printer is tiny, measuring in at a measly 230 x 350 x 300mm, while weighing a minimal 5.6kg. It's a small machine designed for quick printing without fuss. Print speed is the main point of this tiny, tiny printer. 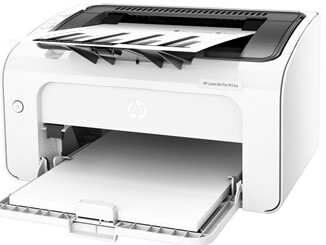 The M12w can get its first page out in mere seconds, utilising HP's auto on/off technology to always be ready to print after being idle all day, whilst barely using any power. The fact it heats up so quickly for the first page is impressive and what has made the range of small HP Laserjet printers so successful. If you're sending large print jobs through here it will cap out at around 14 pages per minute speed, good enough for the small/medium offices this printer is targeted at. Print quality is crisp and accurate, with strong text across all font sizes. It's more than good enough for the type of documents this printer will be doing, and the fact it's mono removes any form of image processing requirements. All of the connectivity options make it as easy as you like to print, and the quality that comes out is typical mono laser printer quality. Due to the size and very simple nature of the Laserjet M12w HP printer, it only takes one consumable, a toner cartridge that contains everything the printer needs. This is the HP 79A toner, with a yield of up to 1,000 pages, small for a laser cartridge but entirely in keeping with what this printer is designed for. 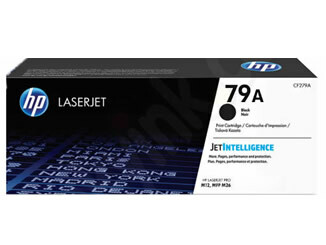 There's also a compatible HP 79A toner that saves you a huge amount on your printing and is a great, easy money saver. Running costs are on the high side for a mono laser, at 5.4p for the original and 3.2p for the compatible. These prices will come down, as the printer becomes more popular and cartridge suppliers increase, but you're essentially paying for how small and efficient this printer is. It's not meant to be a workhorse, it's a quick job machine that takes up very little space. Any small office or room that frequently prints documents where they only need mono, but they need it quickly and cheaply. The M12w doesn't try to be anything it's not, but it does its job of quick, cheap prints very well.